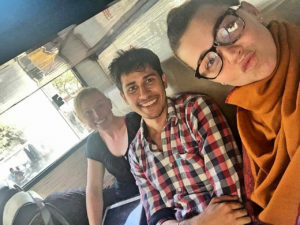 The Best Backpacker Hostel in Jaipur That Will Make Your Gypsy Soul Go Weak In The Knees! Lately acclaimed to be the best Romantic City in India, Jaipur has always seemed interesting to me in all sorts of ways. 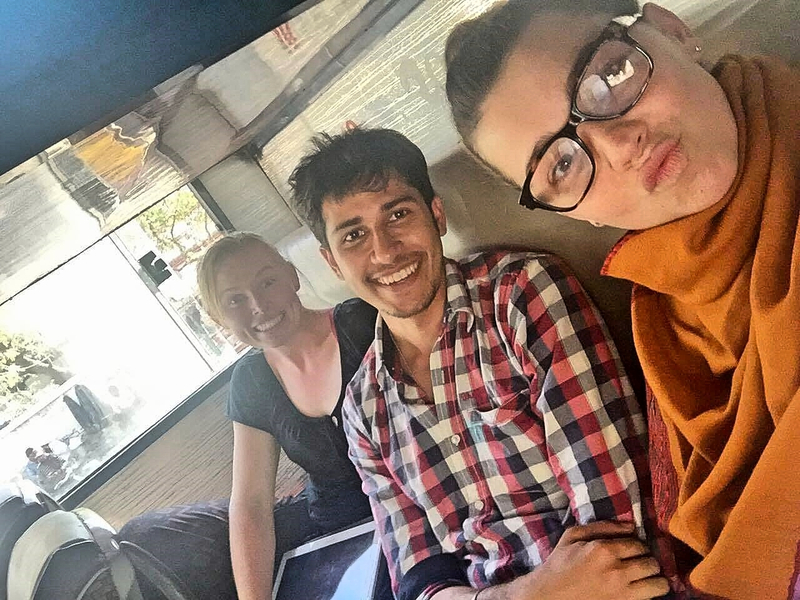 But I'd be honest and say that this trip was a little less crazy than my Rishikesh trip. I had made up my mind to celebrate Holi at Zostel Jaipur since I was not in a good shape to travel to Vrindavan with a bandage wrapped around my knee. I checked out of Moustache Hostel, Delhi and went off to Old Delhi Railway Station. Since then each and every event seemed like it was destined to happen to me, as I came across two sweet ladies from Brisbane at the station - Bree And Brodie with whom I got talking. As usual, the train arrived late, living up to the habit of Indian Railways. The compartments were so crowded, that I threw my ticket up in the air in exasperation and of the fear of hurting my injured knee furthermore. We had our lunch at Haldirams, Chandni Chowk and got on an unpromising bus which took 7 hours to take us to Jaipur. It was 11 in the night when we reached. We waved our goodbyes and went our own ways. I went off to Zostel, where I made sure that I had a couch to sleep for since I didn’t have a reservation. Hostels have always been so happening that it never fails to cheer me up. India-Bangladesh T20 quarter-final match was being broadcast live on TV. The atmosphere was already at its jubilant peak! I quickly made myself acquainted with some and made myself feel home. Time for Holi celebration! Somehow at the back of my mind, I wanted to be in Jaipur this day. I had my white kurta and among us, most of us were in their best Indian traditional attire. Music was loud on the rooftop. I put on my shades and the very next moment we began to play Holi. The feeling was so amazing and childish at the same time. 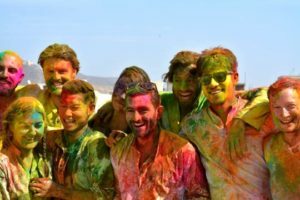 I had always wished to play Holi with westerners and it did feel like a family while we were all together, like we've known each other for a long time. Later in the evening, we were having some chit-chats. Sze, the lovely Filipina, insisted on me on going out with her. So we went to '100% Rock' pub. I had been there last year so I knew the ambiance, and that the music would be grooving. We had plenty of beer and made ourselves comfortable and rocked the dance floor. Next was the last day I had at Jaipur. I decided to keep my promise to Deeksha, and we went to this renowned Forresta Kitchen & Bar. The place had quite a good taste of music and food. I would definitely recommend Forresta Bar if you are in Jaipur any day. We had a good time and she dropped me off in the middle of nowhere, because "2 missed calls from mom" 😀 Oh yes Deeksha, if you’re reading this, thank you and sorry for making our little secret public! Signing off for now. Oh and by the way, Jai Jaipur!